TNT Mod is now available! Explore unique types of TNT and bombs that create structures, learn how to change blocks and to destroy huge areas. Become a master with TNT Mod and enhance your Minecraft world! 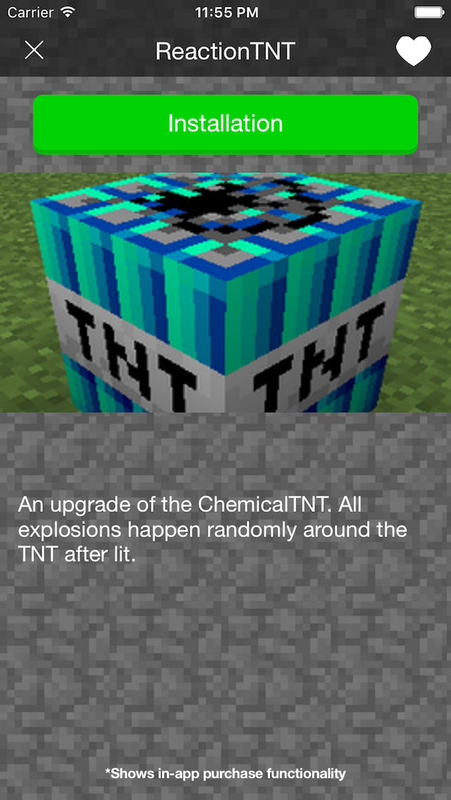 This app will provide you information about numerous types of TNT as well as tips and guides for TNT mod! Get this app now while it is on sale! Note: This app is for the PC version of Minecraft only. You cannot mod your Minecraft Pocket Edition client with this app.